This piece was commissioned to match existing dining room furniture for a couple in Eastbourne, so careful measurements of the original pieces were needed to match the mouldings and detailing. 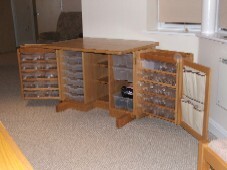 The doors hold lots of small storage boxes with sub divisions and additional pockets on the right. 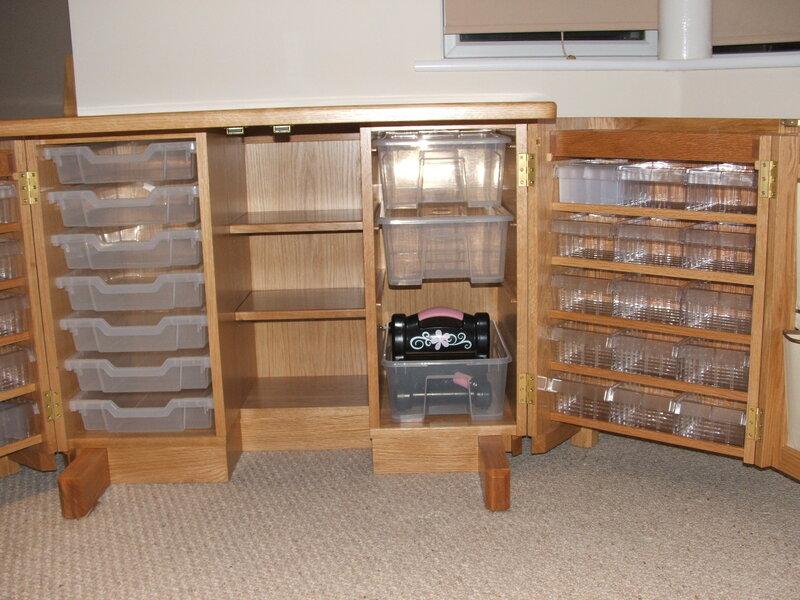 At the top of the doors are loose trays for the little parts you are working on.Larger drawers for paper and card and lidded tubs for material etc. are incorporated in the desk itself. Craft work station in European oak. 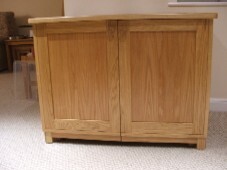 Whatever working space or bits and pieces you want to hand its possible to create a bespoke piece of furniture to suit. Email Nick at 2nickholt@gmail.com to have your ideas brought to life!